The divorce rates in the United States of America, as well as in some parts of Europe, are getting ridiculously high. According to psychologists, people nowadays love the thought of marriage, they like the thought of the wedding itself, they like the thought of being with each other for the rest of their lives. However, there is one thing that most married couples forget, and that is unselfishness. They seem to forget that they’re now a team and that there should always be a give and take matter. That is one of the reasons why marriage seems like it is disposable nowadays, society doesn’t respect that union anymore, which is why it is easy for them to get a divorce. It is like buying a new purse that you would get rid of if you don’t like it anymore and you’ll easily get a new one. 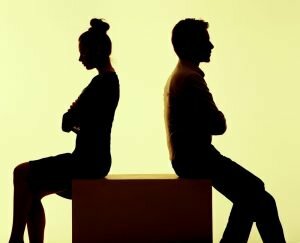 There are actually a lot of ways to avoid divorce, just keep in mind that if something that means a lot to you is broken, you will try everything to fix it, instead of simply throwing it away. Pointing fingers towards each other will not help your situation and it wouldn’t fix anything, it will only make matters worse. What you can do is to simply be two mature adults who are having a normal conversation without being at each other’s throats and pointing out each other’s flaws. Don’t forget that you two are a team, and as a team, you should work it out. Be responsible enough to own up to your mistakes, and if it wasn’t your fault, apologize for acting immaturely or for overreacting and making something small, such a big thing. That person is someone you love, not just some random person you can easily get rid of. If your relationship is getting rocky, learn to find a better road to ride on. Negative thoughts will only make matters worse, so thinking about it is totally out of the question. Instead, think of ways on how you could make the situation lighter. Try relighting the spark by going down memory lane and recreate those precious moments that you two have obviously forgotten since you two are too busy fighting. This has got to be the most important thing you must consider. Divorce is not just about the two people, it is also about their children if they have any. It would definitely make things even more difficult. A broken family could affect the children is so many negative ways and you two must at least try to work it out not just for yourselves, but for your family. It may be so easy for the two of you to live your own lives again but your children would definitely feel something missing. In order to fix something, you have to know how it broke, why it broke, when it broke, and what are the things that you need to do in order for it to get fixed. Talk to your spouse in a civil manner, even if it might hurt both of you, you must talk about what happened and where it went wrong. If you did something, be responsible enough to admit and ask for forgiveness and vice versa. Once you have talked about it and one of you is asking for space, it is best to give it, but make sure to put an end to it and settle a particular time and date, too much space is sometimes not too healthy. One of the main cause of divorce is misunderstanding and poor communication. If you think about it, it is pretty simple, only if both of you will act like proper adults with an open mind. Listening and hearing what they say is different. If you can hear what they are saying but you are too busy thinking of a reply, then you’re not listening. It is such a selfish way and if you’re being in denial of being selfish, then marriage is not for you. It takes a great team for a marriage to last. This has got to be one of the most important things to do. You have got to listen to yourself. What do your mind and heart tell you? Keep in mind that this may not be all up to you but you have to know what you want and what is for the best for your family. Don’t hesitate to seek professional help, if you think that you need some couple therapy or marriage counseling, then do it, there is simply no harm in trying. Just keep in mind that you both have to do it willingly if the other has made up their mind and has given up, then there really is no way to save it. Remember that no matter what happens, if there are children involved, you have to think what is best for them. It wouldn’t be just about you and your partner because the one that will get affected the most is your children. 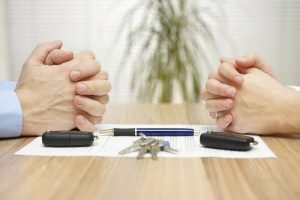 There are of course cases that there is no choice but to have divorced and that is if there is physical and extremely emotional and mental harm is involved.